I cannot say enough about this exquisite brick and limestone home in Lincoln Park! 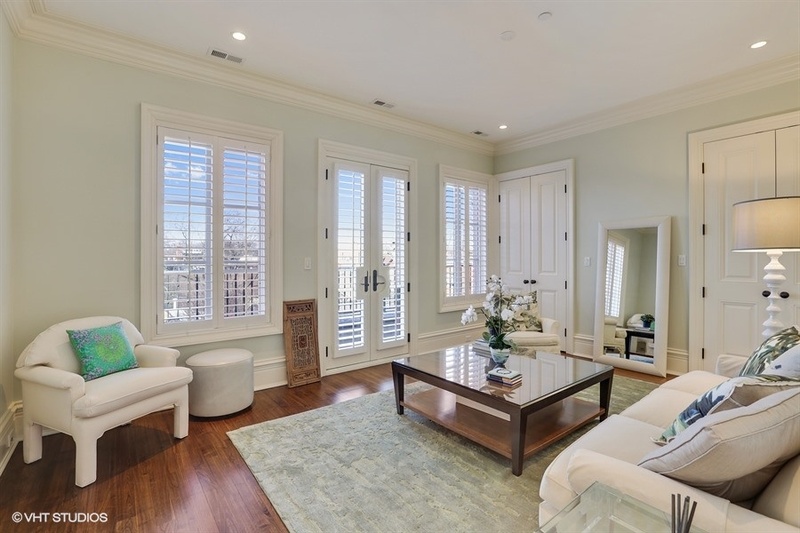 With 6 beds and 5.5 baths, this 4-story family home on desirable Burling Street is an architectural gem; everywhere you look there’s something new and beautiful to admire. The quality of this home is evident in its high-end finishes—I was so impressed by the stunning millwork, crown moulding, coffered ceilings, and many custom built-ins. Gorgeous walnut hardwood floors add a rich, warm feel throughout the house. 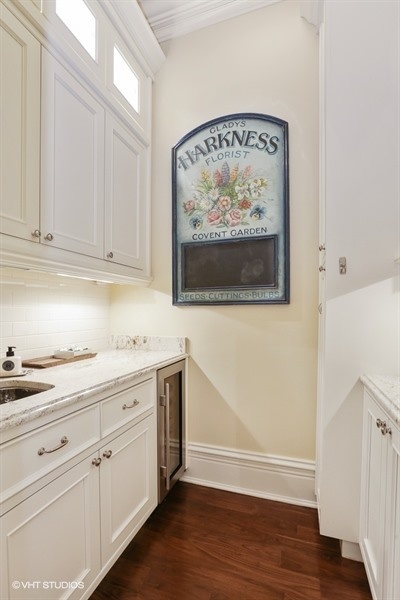 With its generously sized granite-topped island, Wolf range, two Miele dishwashers, butler’s pantry, and banquette, the all-white kitchen is a home cook’s dream! And how amazing is it that this home has not one, but two private outdoor spaces? The first is a terrace located off the family room that overlooks a serenely designed backyard; I cannot imagine a nicer place to dine and spend time throughout the summer. The second, a large roof deck with impressive skyline views, is located off the third floor den, which also features a wet-bar. With a total of six bedrooms between the lower, second, and third floors, this is a tremendously spacious and bright home that still feels cozy to me—that’s largely due to three wonderfully-crafted fireplaces, two of which are located on the main floor. The third adds ambience to the elegant second level master suite, also featuring his and hers closets and a Juliette balcony. With its dual vanity, luxurious steam shower, and separate tub, the spa-like master bath really took my breath away! This home only continues to impress with extra features including an attached 2-car heated garage with driveway, a Lutron Lighting System, an ELAN Smart Home System, a sauna, and heated floors. Last but not least, it's just a short walk from Lincoln Park High School, a number of lovely parks, and Summer House Santa Monica—one of my favorite restaurants in Chicago!